Now through February 30th we're having our biggest giveaway ever! With the purchase of any Eider, Dipper 17, Dipper 19, Lit'l Coot, Surf Scoter 22, Pelicano or Pelicano 23, We're throwing in either a Lit'l Petrel or Bella 10 kit! 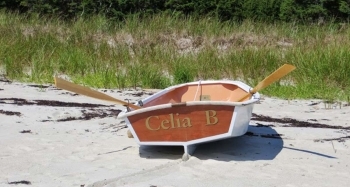 This is a great way to practice your boatbuilding skills before digging into the big boat project AND to have a useful skiff to get you ashore on your boating adventures. You are here: Home News Winter 2016 giveaway!